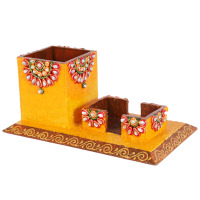 This traditionally designed table set consists of a potli, napkin holder and a small handi placed on a flat wooden base. 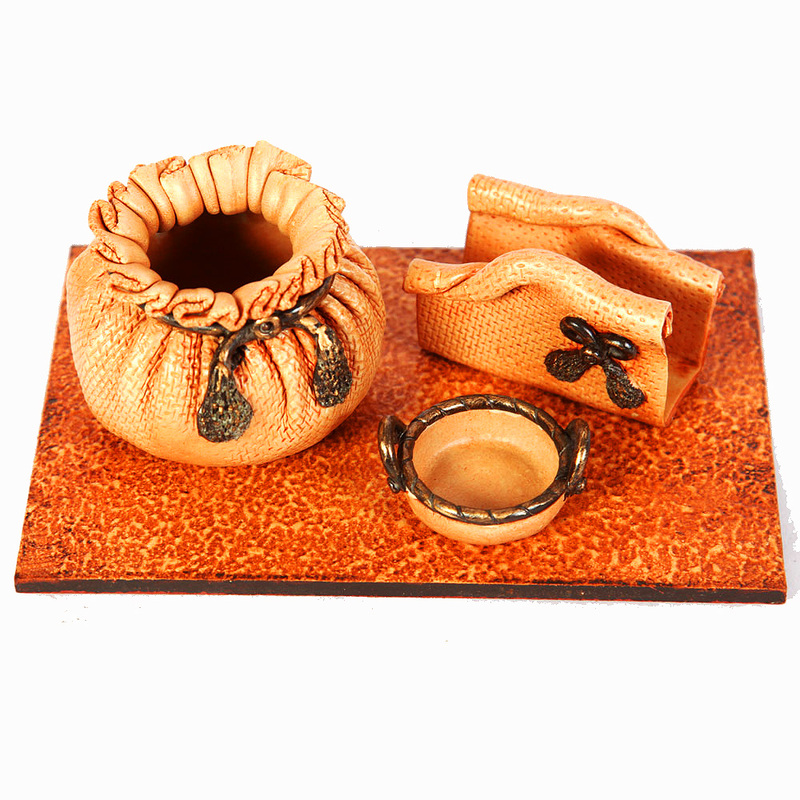 The cream colored accessories Read More..adorned with copper color strings and trimmings present a treat for the eyes of the beholder and add to the grace of any office table. Show Less..